Ever heard of anyone who wants to write a 100 books in their lifetime? We have heard of one such person, and her name is Anamika Mishra. 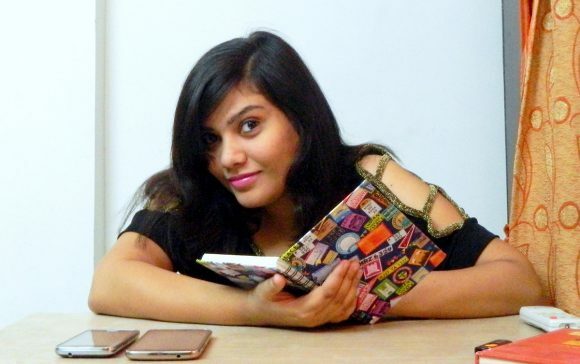 Anamika is an author, a blogger, a public speaker, positivity spreader, bibliophilie and much more. 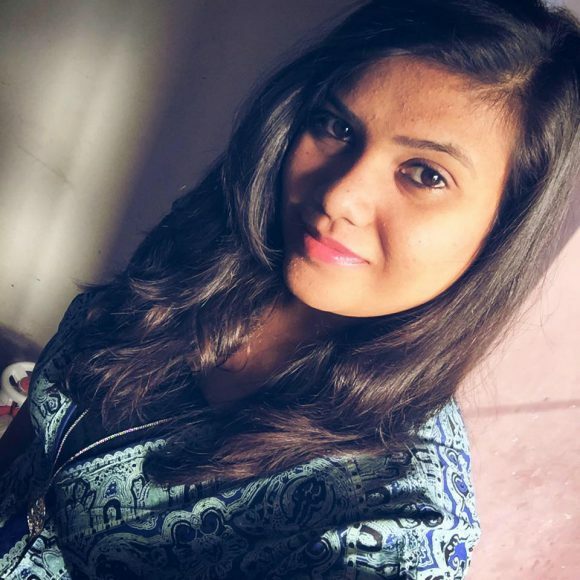 We love the way positive vibes are interspersed with beauty on Anamika’s webspace, and so decided to interview her. Read the interview where Anamika explains how she seamlessly blends the blogger and author in her. Q. You love technology and have been “bitten by the writing bug’, as you say, since childhood. What made you choose the latter as a career option? The novels! I have grown up reading novels. It’s an altogether different world. You can be what you want, do what you feel like, create characters and tell stories. It all has fascinated me ever since I started reading novels when I was in school. I remember after reading David Copperfield by Sir Charles Dickens, I went back home and told my mum that I wanted to write a book like Dickens. There were so many crossroads where I had to take decisions, I even tried many career options and specializations, but always ended up at one thing – I want to be a writer! Q. Your blog has many motivational posts. What is the one philosophy that you apply in your life? Stay positive! This is something that keep me going. No matter what happens, stay positive! Because I believe everything happens for a good reason. Q. What is the source of your positivity and ‘tips for life’? Whatever I have written in my blogs about life so far, or whatever I have delivered in my talks, I have experienced everything. So the tips I usually share, are from my own experience. For positivity, I would say my family and nature. Family, because no matter what happens, they always support me and motivate me to work harder…and Nature, because that’s something which inspires me to remain calm and positive. For instance, I love watching natural sources of water. It can be rainfall, waterfall, lake or the sea. It fills me with positivity! Q. It is often thought that novels are somewhere a reflection of the author’s life. Which book or character from your books do you most relate to? I will say, I can relate myself with Sam, the male protagonist from Voice Mates. Sam is someone who is clear about what he wants in life. He is ready to take chances and is always ready to help people around. Q. How do you relate blogging to writing novels? How does one make the journey? Well, to let you know, I started my blog back in 2007. I had just completed my schooling and hardly knew that blogging can be a profession. After my debut novel Too hard to handle got released in 2013, I decided to turn my hobby into a profession. That was the time when I started taking blogging seriously. 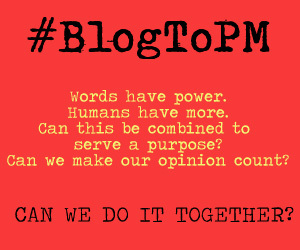 I believe, with blogging I can share my thoughts, ideas, stories with readers regularly. It’s a way of staying in touch with people. Also, blogging really helps in improving writing skills. So, an aspiring author can surely start with writing blogs. Q. 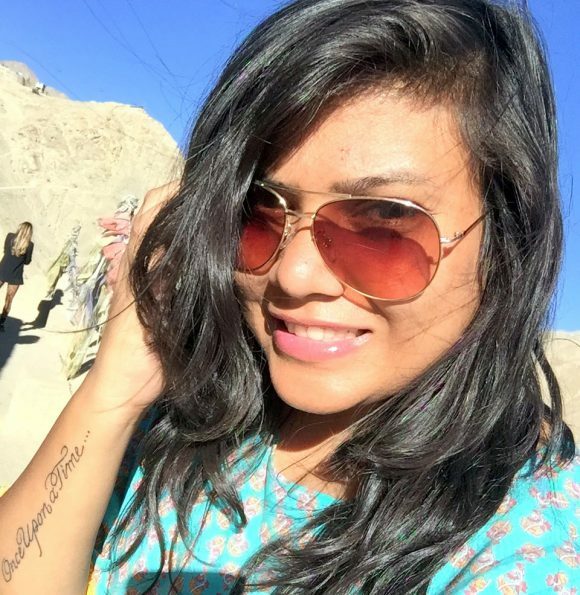 We see distinct personalities of Anamika the beauty, lifestyle and positivity blogger and the love story writing Anamika. Do you yourself feel the difference? Actually no! For me, it is similar to the difference in writing fiction and nonfiction. Q. Are you a voracious reader? As a reader, who do you think you are the most inspired from? Oh yes! I love reading. I would say, Sir Charles Dickens gave me that inspiration to become an author. Further, I would say Paulo Coelho was the one to change this aspiration into passion. Though, I admire both Paulo Coelho and Robin Sharma as my role models. Q. Blogging on lifestyle, writing e-books and novels, you have explored a lot in the field of writing. Which do you think reaches the reader the most? Q. After tasting success with your first book, how did you go through the stress of living up to your previous performance for your next book? Q. Do you go through writer’s block? How do you tackle it? I usually encounter writer’s block when I am working on my books! So, when I get writer’s block, I blog. Yes! Blogging really helps in dealing with writer’s block. It helps me boost my productivity and creativity! Q. According to you, what does the current generation of readers love to read the most? Previously it was love stories! But I have seen the changing taste of our generation. Now, readers love reading fantasy. You see, like Harry Potter! Q. Do you write based on your personal instincts or choose themes that your readers would relate to? Well, I write based on my personal instincts. I believe if content is good and powerful, it can change the tastes of reading! Q. In your first book, ‘Too Hard to Handle’, you came across the idea of true love and not disrupting the flow of events. According to you, why do relationships not work for today’s generation? I think, impatience! Today’s generation doesn’t want to wait. May it be waiting for love, waiting for a call, waiting to get the answer or waiting to see why a certain event happened! They see and they react. This is something really wrong. Another factor that affects the relationships is TRUST! I see lack of trust in today’s generation. For instance, if I am in a relationship with someone and I come to know that my boyfriend lied to me. Instead of leaving him or breaking up with him, I would ask him to explain the truth. I will trust him and will try to understand the reason behind the entire scenario. Q. Do you believe in the idea of ‘True Love’? Do you think it exists? Yes! It does. Falling in love is a beautiful feeling and when you realize that you have found your true love, life changes! It’s not like you want to be with that person 24×7 or you talk on phone days and nights sidelining your priorities and work, but it’s more like filling life with positivity and love. It’s like you know there is someone special with whom can spend your entire life, someone for whom you will always be there no matter what happens…someone for whom you are ready to make sacrifices of your own choices… and someone whom you will love unconditionally, without demanding anything in return, not even their time! That’s when you realize that you have found your true love! Q. Your second book talked of giving your dreams a chance. For those who have been struggling in their passion for years, what piece of advice do you have? I would say, keep calm and stay positive. With firm determination and continuous efforts, one can surely achieve whatever they want in life. Success might take some time to reach you, but if your intentions are pure and determination is firm, it will reach you one day! Just don’t doubt your abilities. Q. For a writer, how would you define Success? When people start identifying the writer by face, and not just by the name. Reason is that mostly people know writers by their names because our books usually have a small passport size picture, which hardly will help anyone in identification. Q. Is there a contribution of destiny in one’s success? What role do you think your stars might have played in your success. Yes! Stars play an important role in defining one’s career. Though, I think one has to support the stars in achieving something by working hard and putting in 100% efforts. Without working hard and putting efforts, I think stars will not be able to help you much! Q. You read a lot of Paulo Coelho’s books. How much do you believe in signs and intuition personally? Oh, a lot! I ask for signs everyday. And I actually get answers. Believing in my intuition has helped me a lot of times. In fact once, I remember I followed my intuitions and cancelled a trip, and later I came to know that the bus met with an accident! Q. Tell us how a normal day goes for you? Ahh, I am a very lazy person. And as I work till 2-3 in the night, I usually get up late in the morning (around 9, sometimes 10-10:30). So, when I don’t have any meetings lined up, or speaking sessions or other engagements, I lay down on my couch, switch on the AC & TV and work. During the daytime, I work on my blogs and other stuff while at night, I work on my books. Q. Apart from writing, you have a keen interest in travelling. Which has been your most memorable road trip? I would say, my road trip to Ladakh was the most memorable one. We (me and my family) had all sorts of experiences, including good and bad. I would suggest every road tripper to visit Leh Ladakh by road, at least once. Must must visit! Q. As we go through your quick info, we see you have varied interests. Is there anything that doesn’t strike a chord with you at all? Q. As a sworn shopaholic, tell us your basic strategy to fill your wardrobe when you go out to shop? I never go shopping during a sale. With this, I am able to shop for new collections along with trendy stuff. Q. What is your personal style statement? I prefer keeping it comfy. Usually you will spot me wearing a jeans and a T-shirt. Q. 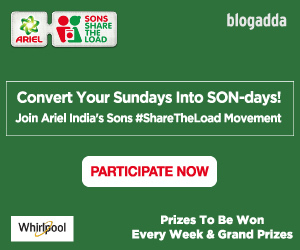 What do you think is the future of blogging in India? It’s very bright. I have seen youngsters taking interest in blogging and learning it like a professional course just to make career in it. The future of blogging in India is really good. Q. Is there anything that is left unaccomplished? What is your life’s plan now? Oh yes! I want to write 100 novels. 3 down, I’m working on 1 at present, 96 more to go! 😀 Talking about life, I am currently focusing on my career. I am single and enjoying life. I want to write more, travel more and learn more! Q. For budding writers, what would you like to advise? For budding writers, I would advise that keep reading good books. The more you read, the more you learn, the better writer you become! Q. You have been into both fiction and nonfiction as a writer. Which comes naturally to you? 1. One fashion tip that you would like to give people: Don’t follow the flow. Create your own fashion statement. 6. Blogging for you is…. a way to escape all worries, fight writer’s block and connect with people! 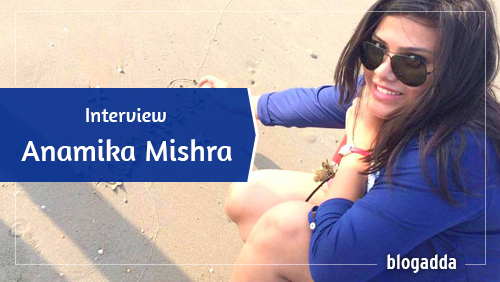 We’ve come to the end of our interview with Anamika Mishra, and now is the the time for you to tell us your feedback for it! We loved getting to know this ambitious, intuitive and successful blogger. What do you think? Good to know about u Anamika… Very impressive. Keep rocking. All the best ! Happy to know about you anamika. Good interview .best of luck . bahut hi badhiya interview kafi kuch janne ko mila anamika ji ke bare me. Want some suggestions and help about writing novels. Can you help? happy to know such an inspiring blogger for newbies. Fantastic & excellent interview .Your every thought match with my thought maybe you are in next generation in comparison to me.I didn’t believe that this generation have like this true , inspired & confident thoughts .Hatsup to your interview.